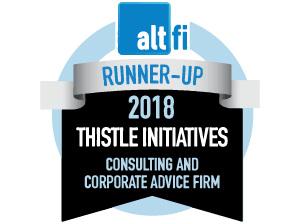 When first visiting the Thistle Initiatives website we will place small text files that are commonly known as cookies on your computer. 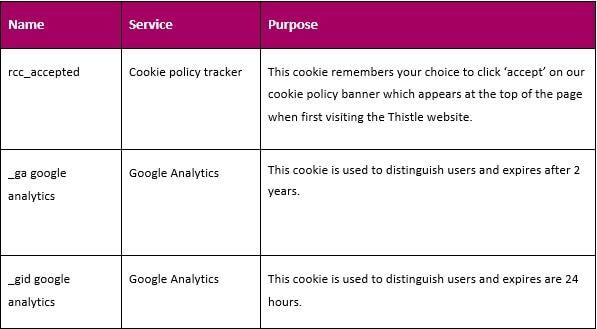 Cookies are used to identify visitors and to simplify accessibility when accessing the site, they are also used to monitor visitor behaviour when viewing content, when navigating the website and when using its features. You can block cookies by activating the setting on your browser that allows you to refuse all or some cookies. However, if you use your browser settings to block cookies, some parts of the website may not function as intended.